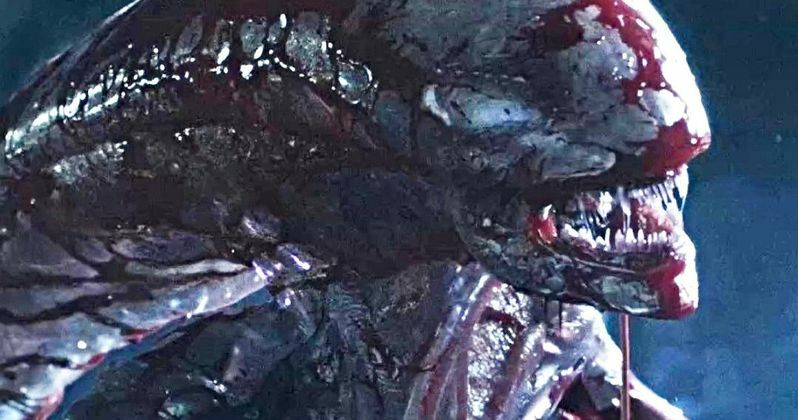 We have some new details regarding Alien: Awakening, the planned finale to Ridley Scott's trilogy of prequel movies in his franchise that started back in 2012 with Prometheus. Unfortunately for Ridley Scott, things have been put on hold ever since Alien: Covenant failed to meet expectations. Plus, with the Disney merger looming large, it seems less likely than ever that this movie will actually see the light of day. However, if this movie does somehow get made, it will tie the entire franchise together. The new details come from Empire Magazine's special Alien issue. Apparently, John Logan, who previously worked with Ridley Scott on Gladiator and Alien: Covenant, penned a script that would see the Engineers return. They were first featured in Prometheus and, as we learned in the last movie, Michael Fassbender's David pretty much wiped them all out. But a few have survived and those who lived through the genocide are coming after David. But it's where this chase leads them that is particularly interesting to fans of the franchise. Here's what Ridley Scott had to say. "We're gonna actually go to the planet." The planet Ridley Scott is referring to is LV-426, the planet where the crew of the Nostromo first encounters the Xenomorphs in the original Alien. This would explain a lot. Covenant left a lot of loose ends that needed tying up. David took over control of the Covenant ship and brought aboard several of his specimens to use on the ship's human hosts. Lots of Xenomorphs to be made. If the Engineers do chase David to LV-426, that would explain why Ripley and the gang discover the abandoned ship in the first movie. There has also been a long-standing theory that the infamous Space Jockey from the first movie is actually David in a new hybrid body. This would explain how he got there. Unfortunately, as appealing as it may be for some to have this trilogy wrapped up, the likelihood of that happening lessens by the day. Originally, the idea was to have this be Ridley Scott's next project after he wrapped up shooting All the Money in the World. But Alien: Covenant grossed just $240 million worldwide working from a $97 million production budget and the movie was quite divisive. So Fox wasn't terribly eager to put Alien: Awakening into production. Ridley Scott has since moved on to several other projects, including Gladiator 2, which is now much closer to becoming a reality. Disney is expected to complete their purchase of Fox in early-to-mid 2019, means that they will be in control of the franchise at that point and there is almost no way they're going to green light Alien: Awakening. So, really, these details are just a "what could have been" sort of thing. All fans can do now is hope that rumors about that Alien TV series turn out to be true. This news was first reported by Empire.